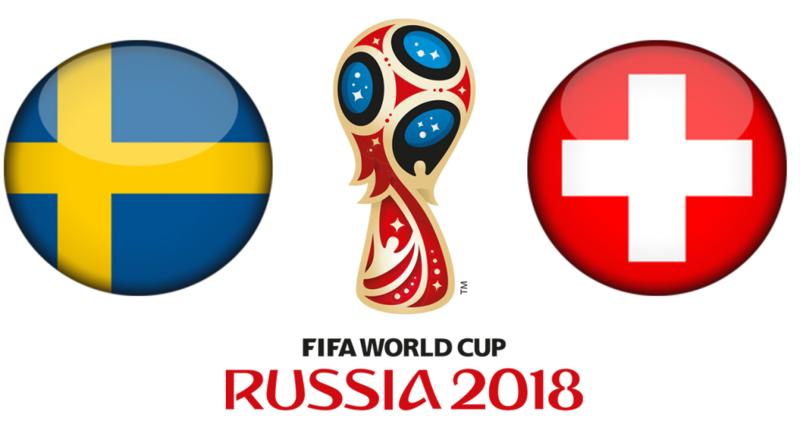 The clash between Sweden and Switzerland will be played at the Saint-Petersburg Stadium in Saint Petersburg on July 3rd. Both teams deserved to be here and whoever progresses to the quarter-finals should be proud of the accomplishment, and can be considered as overachievers at this moment. Sweden deservedly secured the win in the opening game at the World Cup as they didn’t allow a single shot on target to the South Koreans in a 1-0 victory. The next match was painful for the Swedes as they conceded a goal in the 95th minute against Germany, but responded in the deciding tilt with Mexico, destroying them, 3-0. Six points were enough to get the first place in the group, and importantly, to avoid Brazil in the Round of 16, so the Blue-Yellow has realistic chance to reach the quarter-finals. On the other hand, Switzerland displayed a solid form in the first three games at the World Cup as they even held Brazil to a 1-1 draw, while the Red Crosses showed excellent fighting spirit and mental strength in a comeback victory against Serbia. Despite failing to beat Costa Rica who had the best game at the tournament, Switzerland finished with five points and got a more favorable matchup in the Round of 16 and the easier path to the finals than the Brazilians. Emil Forsberg displayed a disappointing form in the group phase and he must step up and lead his team, so this clash could be his trigger. He is the most technically gifted player in the squad and when he has his day, Forsberg can be lethal. Xherdan Shaqiri has a goal and an assist thus far at the World Cup and he can turn out to be a match-winner, especially on the counter after Sweden’s set-pieces as he is way faster than the opposing defense. Sweden: Olsen; Lustig, Lindelof, Granqvist, Augustinsson; Ekdal, Svensson, Claesson, Forsberg; Berg, Toivonen. Switzerland: Sommer; Lichtsteiner, Schar, Akanji, Rodriguez; Behrami, Xhaka; Embolo, Dzemaili, Shaqiri; Drmic (Gavranovic). Sweden’s chances to win the World Cup are now +4000, while the Blue-Yellow is +500 to reach the semi-finals. Switzerland’s chances to win the World Cup are now +3300, while the Red Crosses are +350 to reach the semi-finals. The is no big difference between the teams and I don’t expect such a result as Sweden’s 3-0 win over Mexico as I think one goal could decide the tilt. Reaching the quarter-finals at the World Cup is a quite an accomplishment for both Sweden and Switzerland, so they will not go with the all-in approach as we saw in a game between Belgium and Japan. It could be settled in the extra-time or on penalties, so I am going with a draw.